Lion Fight Promotions, a worldwide leader in Muay Thai combat, and its partner promotion Muay Thai Grand Prix, announced three upcoming dates and major bouts lined up for these massive events. The month of Muay Thai madness begins on Saturday, July 7th, in London, England as Muay Thai Grand Prix Presents LF 43 at the Indigo at O2 Arena. 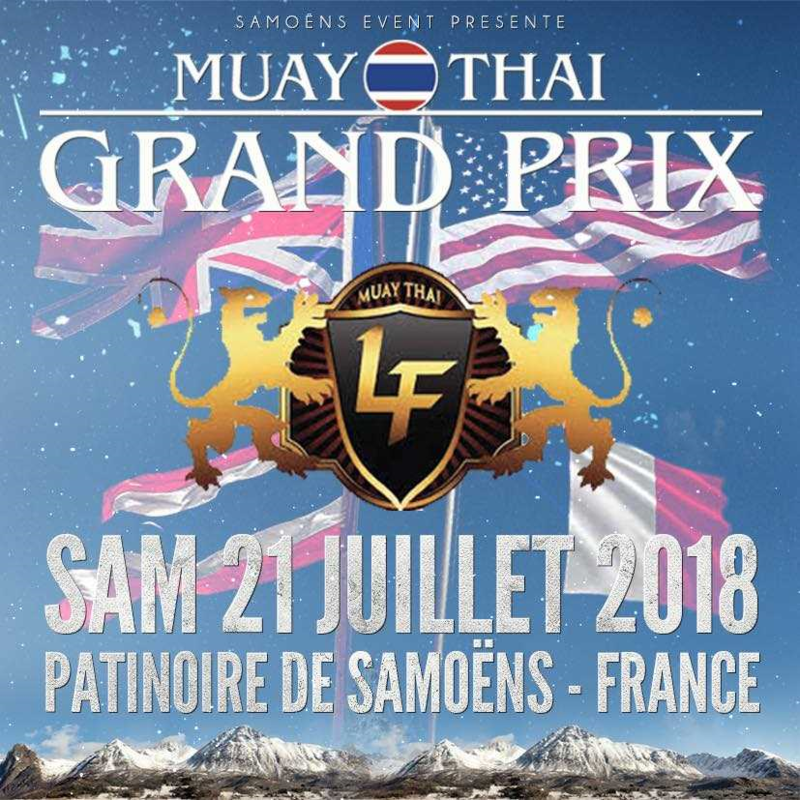 Then, on Saturday, July 21st, Lion Fight teams up once again with its partner promotion for Muay Thai Grand Prix Presents Lion Fight 44 in Samoens, France. Just seven days later on Saturday, July 28th, Lion Fight 45 will take place at Foxwoods Resort Casino in Mashantucket, Connecticut with a stacked card. Broadcast and ticket information for all three shows will be released shortly. At the top of the marquee for Lion Fight 43 is clash for the MTGP World Super Lightweight Title as reigning champion Carlton “The Baby-Faced Assassin” Lieu (8-3) defends his crown against American rival Chris Mauceri (9-5). For Lieu, it will be his second title defense in three months as he is coming off a dominant five-round decision victory over challenger Jafar Toshev at Lion Fight 42. Meanwhile, Mauceri makes his long-awaited return to the ring after registering thunderous knockout victories over Nicolas Parlanti (spinning elbow, Round 3) and Nick Chasteen (elbow, Round 1). The LF 43 card will feature another England vs. United States matchup in the welterweight ranks as London’s own Michael Pham (15-4-1) squares off against Joshua Aragon (13-4-1) from Los Angeles. Numerous other bouts for MTGP Presents Lion Fight 43 will be announced in short order. The promotion will then make its debut in the spectacular French Alps just an hour outside of Geneva, Switzerland, with MTGP Presents Lion Fight 44 and a double-title main event. French-Algerian star Elias Mahmoudi, the winner of last year’s MTGP one-night, four-man tournament, will have the home-ring advantage as he meets Thailand’s Krobsud Fairtex (57-24-1) for both the LF and MTGP Super Featherweight titles. Additionally, the France event will feature a sensational showdown in the women’s light flyweight division. Representing LF will be stylish American standout Crystal “Bear” Lawson (8-6) as she ventures into hostile territory to take on France’s Fanny Ramos (1-0) at 108 lbs. Along with a matchup for French fan favorite Reda Oudgou, more bouts for MTGP Presents Lion Fight 44 will be revealed soon. Rounding out the excitement of three shows in less than 30 days will be Lion Fight 45 which already boasts four spectacular title bouts. In the main event, undefeated hometown fan favorite Chip Moraza-Pollard will put his LF World Cruiserweight Title on the line for the third time as he takes on hard-charging challenger Mark MacKinnon. Moraza-Pollard (7-0) captured the MTGP World Cruiserweight title and defended his Lion Fight crown last November in London with a solid five-round decision win over the then-undefeated Jordan Smith. The Plymouth, Massachusetts, product followed up that victory with another thorough effort as he picked apart New Zealand’s Slava Alexeichik en route to a decision verdict at LF 42 in February. But he will see a different sort of challenger in MacKinnon (9-3) as the Canadian vows to bring an aggressive style previously unseen from past contenders for Moraza-Pollard’s throne. In the LF 44 co-main event, two outstanding female competitors will vie for the organization’s first-ever Women’s World Super Lightweight championship. Brazil’s Rose Amorim (12-1), who will train in Massachusetts for the title bout, will battle Puerto Rico’s Angela Whitley (14-1). This will be Whitley’s second crack at a world title for the organization after falling just short in a tremendous five-round effort against welterweight champion Jorina Baars. The event also features Brett “The Threat” Hlavacek (19-5) attempting to become Lion Fight’s first two-division North American champion. The Brooklyn, New York, native is the current Lion Fight North American Light Heavyweight title-holder, earning that belt with a win over Elijah Clarke in February. He will now chase after the Lion Fight North American Cruiserweight championship, but standing in his way is newly signed competitor Tibor Nagy (24-14-1). Nagy is originally from Hungary, but now lives and trains in Las Vegas and will be cornered by the legendary Ray Sefo. The quarter of title bouts is completed by the first title defense for newly crowned Lion Fight North American Super Cruiserweight champion and fan favorite Steve “Put ‘Em To Sleep” Walker. 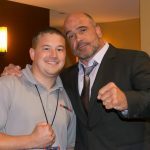 The Boston, Massachusetts, product claimed the inaugural title in April with a commanding performance as he notched a decision win over Olivier Fairtex. For his first defense, he will stand across from heavy-hitting Joshua Todd (12-3), who will trek into Walker’s backyard from Albuquerque, New Mexico. Additional bouts for LF 45, featuring young talents Mike Triana and Ricardo Mixco, will be announced in the coming days.